The short answer is YES. There are many reasons your first stop on your house-hunting journey should be your bank or primary lender. First and sometimes most important is that talking with your banker before you start your search will help you understand exactly what is involved in firming up that pre-approval, whether or not you have any outstanding issues to deal with first and exactly how much of a mortgage you can afford. At the start of your search, your list of potential properties will be huge. Knowing how much you can reasonably afford to spend will help to streamline those properties so that you’re not wasting time on unlikely candidates. Your banker will explain your borrowing options and the terminology so that you understand what you’re agreeing to and will help you determine which options best meets your needs. 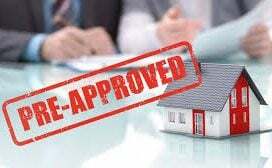 Having a pre-approval from your lender also means that you should be able to act quickly when you do find the right property, because you’ve already laid the ground work. There is no clear answer here as everybody’s situation is different. As of the date this article was written, and for a good few years before it, interest rates have been sitting at an all-time low. While rates are this low, it can actually be cheaper to make mortgage payments than paying rent. Having said that, there will be extra costs associated with home ownership that people sometimes forget about. Your mortgage payment is only one component of your monthly responsibilities. There could also be a property tax payment, extra municipal costs and if something happens to your water heater or furnace, for example, the cost of the repairs and/or a replacement is yours to bear. Another element to keep in mind is how long you expect to stay in the home. If you think you’ll be moving again within a few short years, you may be best to rent as it could save you money in the long run. Here’s where those additional costs come in. Its important to know this kind of thing so you can budget for ongoing expenses. Usually, your agent can find out from the home owner how much the major recurring bills have been so that a monthly or annual average can be determined. It is important to recognize though, that just because a previous owner ran the air-conditioner on high all summer long does not mean that you will necessarily do the same. These figures should only be used as a guide as individual preferences and situations can play a big role in the end result. For example, we bought our house from a retired widower. His propane bill was significantly higher than ours because he was home all winter long whereas we are all out of the house five and sometimes six days a week. His hydro bill, on the other hand, was much lower than ours is now, because we have three teenagers who love long, hot showers and forget to turn lights off. Average costs are just that, averages of previous use…they don’t necessarily dictate what future costs will be. Is the fridge included in the listing? If it is, that could save you a bit of money because you won’t have to buy your own fridge when you move in. But if that fridge is 12 years old, it’s likely not going to be around much longer so you’re not really saving any money in the long run. Be clear about what appliances or specific items are being included in the purchase/sale and see if you can find out how old the major ones are. If the roof, furnace, water heater and air conditioner are all original to the 25 year old house, for example, you’ll need to plan for replacement costs in the near future. Your agent should be able to get this information for you easily, and if not, your home inspector will be able to give you an estimated age or lifespan. You are the only one who can determine the answer to these questions. Certainly, you should ask for your realtor’s input and advice, but ultimately it is you who knows what you can afford, how much you are willing to spend and what you feel the property is worth to you. If you visited your bank to get pre-approved, you will already have an idea of how much you can reasonably spend and you should never feel pressured to commit to breaking your budget. Your deposit, on the other hand, is a less concrete figure. The deposit is meant to show the seller how serious you are about completing the purchase. The amount of your deposit will be deducted from the final purchase price during the closing process, so it does not change the amount you are actually paying for the property in question. In general, the larger the deposit, the stronger the offer looks to the seller. Again, the answer is a resounding YES! I know I am biased, but I have always wondered at the people who willingly take on the task of selling or buying a property without professional representation. Do you want to take time off of work every time someone wants to view your home? Do you want to let everyone who says they’re interested in to wander through your private property? What do you know about them? Can they actually afford to buy or are they just nosy? Are you willing to take on the full legal responsibility for every element of the offer to purchase and sell? Using a agent will save you time, reduce the amount of legwork you have to do and it should significantly reduce your stress during what is often an extremely emotional process. When choosing your agent, just make sure you feel comfortable with that individual, have all of your questions answered and feel you will be well represented. When the time comes to make a move or purchase your first home, preparation and knowledge can make all the difference. It can be a long process full of unfamiliar information and that can be stressful. Next to your agent, you are your own best advocate. 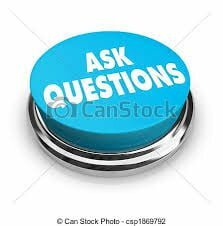 Ask questions so that you can be sure you get the answers you need.